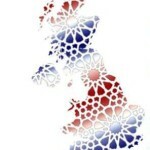 The Birth, The Revelation, The Hijra – Muslim Museum UK – Uncover the 1400 year relationship between Britain and Islam. Explore the history and heritage of Muslims in Britain. Abū al-Qāsim Muḥammad ibn ʿAbd Allāh ibn ʿAbd al-Muṭṭalib ibn Hāshim, more well known as, Prophet Muhammad is believed to be born on 4th May 570 CE in Mecca, Saudi Arabia. He belonged to the Banu Hashim clan, one of the prominent families of Mecca, which was part of the Quraysh tribe. His father, Abdullah, died almost six months before Muhammad was born, and at the age of six, Muhammad lost his biological mother Amina. For the next two years, he was under the guardianship of his paternal grandfather Abd al-Muttalib Hashim but when Muhammad was eight, his grandfather also died. He then came under the care of his uncle Abu Talib, the new leader of Banu Hashim clan. While still in his teens, Muhammad accompanied his uncle on trading journeys to Syria gaining experience in commercial trade. Due to his upright character he acquired the nickname al-Amin meaning faithful / trustworthy and al-Sadiq meaning truthful and was sought out as an impartial arbitrator. His reputation attracted a proposal in 595 from Khadijah, a 40-year-old widow who was 15 years older, whom he married. Prophet Muhammad adopted the practice of praying alone for several weeks every year in a cave on Mount Hira near Mecca. During one of his visits to Mount Hira, in 610 CE, the angel Gabriel appeared to him and he received his first revelation. Khadija was the first to believe in his prophethood. She was soon followed by Muhammad’s ten-year-old cousin Ali ibn Abi Talib, close friend Abu Bakr, and adopted son Zaid. 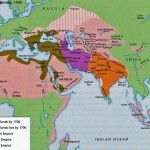 Around 613, Muhammad began his public preaching. In 620, Muhammad experienced the Isra and Mi’raj, a miraculous journey said to have occurred with the angel Gabriel in one night. In the first part of the journey, the Isra, he is said to have travelled from Mecca on a winged steed (Buraq) to the Al-Aqsa Mosque in Jerusalem. In the second part, the Mi’raj, Muhammad is said to have toured heaven and hell, and spoken with earlier prophets, such as Abraham, Moses, and Jesus. In September 622 CE, warned of a plot to assassinate him, Prophet Muhammad secretly slipped out of Mecca, moving with his followers to Yathrib, now known as Medina. This is known as the Hijra (the Flight) and is the start of the Islamic or Hijri Calendar. The Islamic Calendar is based on a lunar year and consists of 12 months in a year of 354 or 355 days, so is 10 or 11 day shorter than the Gregorian calendar that is used in the West, and most of the world.